Following the outrage of the public regarding a rule making it compulsory to wear a helmet in the city of Pune the police force stand undeterred. They are prepared to enforce this rule from the first day of 2019 and are preparing their force to enforce this rule and collect fines. In a step to deter these offenders, the police will instruct petrol pumps to not offer fuel to riders without a helmet. Moreover, police officers will be present all across the intersections and important areas of the city to enforce this new rule and fine the people who choose to break this law. 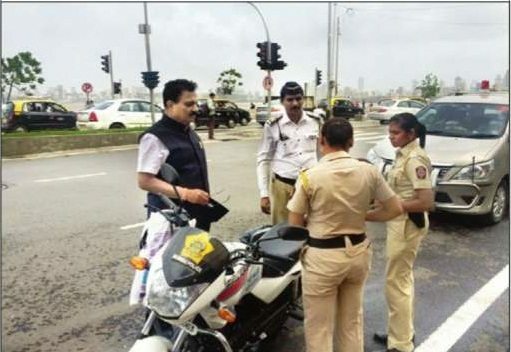 Speaking to Pune Mirror, deputy commissioner of police (DCP) for traffic, Tejaswi Satpute said, “Along with other violations, strict action will also be taken against those found not wearing helmets. At every chowk, our cops will be present to book motorists avoiding helmets. Also, we are going to ask all the petrol pumps to not sell fuel sell fuel to helmetless riders from January 1.” While the efforts of the police are really appreciated and we tip our hats off to them for taking such an initiative, it will still prove to be a huge challenge to make people understand the importance of a helmet. A helmet is a basic safety gear, while other safety gears like gloves and a jacket are important too, a helmet is the most basic requirement any rider needs, be it a 100 cc scooter or even a 1000 cc superbike. We see a lot of people losing their lives every now and then due to not wearing a helmet. The reasons that have been given by the Anti-Helmet Compulsion Action Committee (AHCAC) are very illogical and it is rather sad to see such educated and knowledgeble people to unite against such a thing. We hope some sense walks in their head before they start with their protest against this law.